Providing you the best range of pressure drilling & tapping machine, hydraulic under pressure drilling machine and under pressure drilling machine with effective & timely delivery. We made our mark in the market by offering an exclusive range of Pressure Drilling & Tapping Machine. 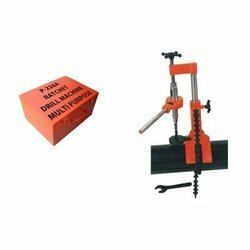 Pressure Drilling & Tapping Machine range finds its applicability across many tapping, re-tapping, reaming counter sinking and chamfering applications. This product provides easy adaptability and complies with both osha and ANSI standards. 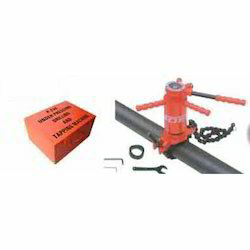 We are also offering Pipe Tapping Machine. we are counted amongst the reputed manufacturers and exporters of widely demanded Hydraulic Under Pressure Drilling Machine. Hydraulic operated auto feeding Under Pressure drilling Machine is used to for drilling to take branch connections from large diameter cast iron, ductile iron and Mile steel pipes, trepanning vessels and blank flanges while under pressure.